This product and packaging is such a great idea. The type of thing that makes consumers smile and take note. 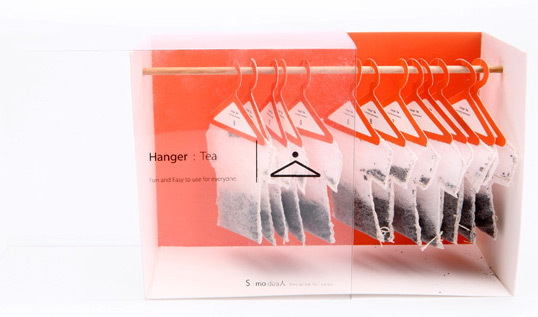 I still agree that ‘Tea Shirt’ might have been better, but I can’t fault how neat this design is! 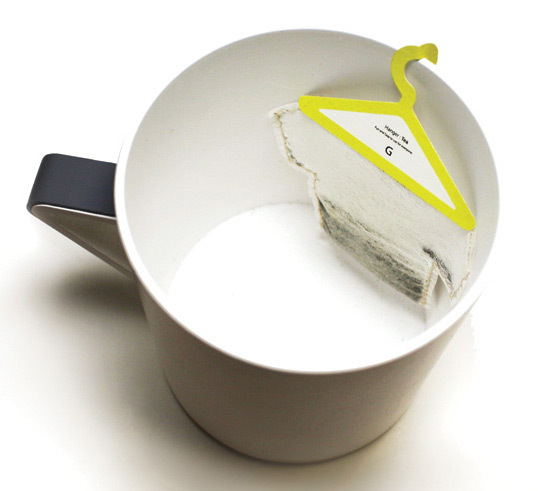 The actual teabag is really nice, very cool idea. I don’t like the packaging because so much space is wasted, but I love the intention. This is so clever. Twinings tea are obviously trying to update their image, given the recent advertising campaign; this is much better than anything they’ve come up with! Oh, this is so cool, such a great idea! 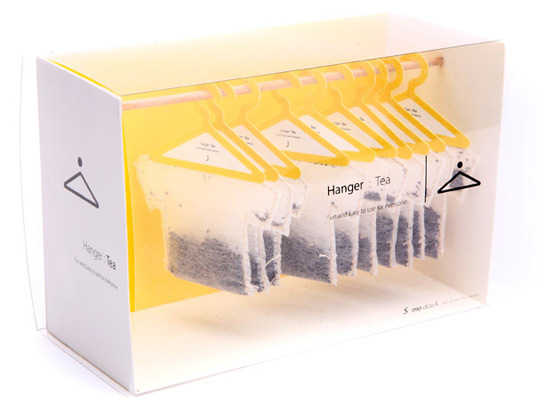 oh man, “tea shirt”. That’s hilarious. I still love this design though. Good concept well executed. Not sure about shipping though. Might end up with a pile of laundry on the closet floor. Well done regardless. Funny idea, but the conversion could be better. I agree with Ben, that there‘s too much space wasted. Where can i buy this?!?!!? @Ben I totally disagree. The packaging is perfect, it’s what gives it the look of a closet and you can see the overal shape of the bag and the hanger clearly. It sets the seen of some lose hanging up t-shirts, except they’re t-bags!. To make it more economical and squash them in defeats the entire point of an artistic brilliantly concieved niche product.